Clear, crisp and refreshing in a tall glass with ice and a slice of lemon, or as the ever-popular 'G and T'. Many other cocktails also rely on Schweppes Tonic for that certain 'fizz'. Schweppes started producing tonic in the 1870s. It was soon popular with the British in India, as it contains quinine, which was used as a preventative measure against malaria. 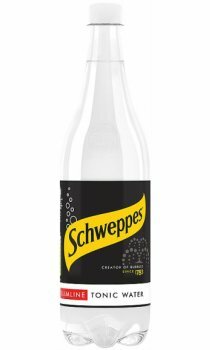 The amount of quinine in today's Schweppes Tonic is too small to have any medicinal effect, but it is still highly regarded throughout Europe for its unique taste and style.